The National Institute for Reproductive Health and NARAL Pro-Choice New York today announced that they are restructuring as a fully independent and integrated entity pursuing a bold, proactive agenda to support women’s reproductive health decisions, with a focus on abortion access, both in New York and with partners in states and cities across the country. Part of this change involves ending the organizations’ affiliated status with NARAL Pro-Choice America. This is a natural evolution for the National Institute, which has been operating across the country for nearly a decade, expanding well beyond its original scope in the NARAL state affiliate network. The work of NARAL Pro-Choice New York will continue as the New York campaign of a new action fund affiliated with the National Institute for Reproductive Health. The National Institute and its action fund will work in tandem to change public policy, galvanize public support, and normalize women’s decisions to have abortions and use contraception. 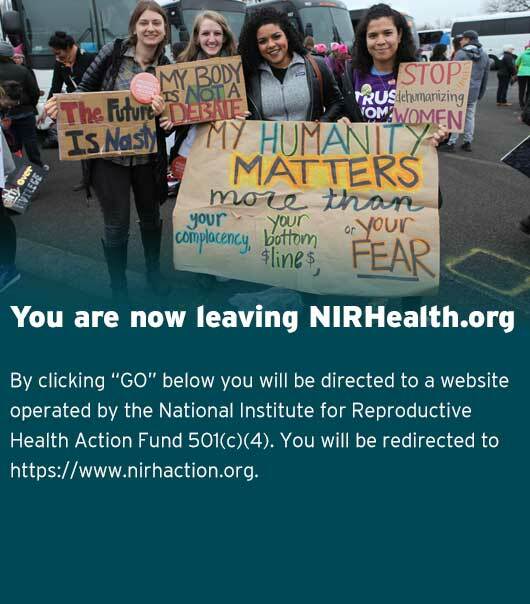 The National Institute will continue to conduct communications and policy research and analysis to shape the national conversation about reproductive health care, and maintain its long-standing commitment to provide strategic guidance, capacity building (including funding), and technical assistance to state and local partners nationwide. The National Institute for Reproductive Health Action Fund will conduct legislative and political advocacy to protect and advance reproductive health and rights at the state and local levels, with a continued strong focus on New York, working alongside the Committee for a Pro-Choice New York and the Committee for a Pro-Choice New York PAC. NARAL Pro-Choice New York’s staff and board will continue in their roles with the new action fund. “Building on our decades of experience in New York State and New York City, the National Institute for Reproductive Health Action Fund will advance a positive, proactive agenda to support the reproductive health decisions of women in New York and across the country,” said Donna Bascom, who chaired the NARAL Pro-Choice New York board of directors and will continue as chair of the new action fund. Since 2008, the National Institute has worked at the state and local levels to promote a proactive and unapologetic approach to reproductive health, rights, and justice, partnering with more than 100 organizations in 46 localities and 35 states. The National Institute will continue to build on these deep relationships and long history of collaboration with partners on the national level, including NARAL Pro-Choice America, and its longtime state partners, including NARAL state affiliates.